A number of smartphones makers have been slashing prices of premium brands to increase sales. A replacement for last's year iPhone 5, the new version runs on iOS7. and offers a smooth performance. 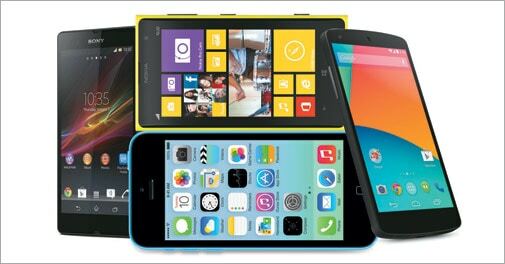 Since the model is still to catch on in India, Apple has introduced a buyback scheme by which, in exchange for a few select smartphones, the iPhone 5c, which costs Rs 41,900, can be obtained at a maximum discount of Rs 13,000, that is for Rs 28,900. Following in Apple's footsteps, Nokia too has introduced a buyback offer on its flagship Lumia 1020. The company is offering a discount of Rs 13,500, thereby bringing the price down from Rs 49,999 to Rs 36,499. Sony too has lowered the price of this premium model to Rs 31,999 from Rs 38,990. It also provides an important differentiator - the Sony Xperia Z is dustproof and waterproof, which most other phones, however high-end, are not. Combined with a 13MP camera, it is a great device for its price. Manufactured by LG, the Google Nexus 5 has high-end specifications and costs Rs 28,990. Its price, already competitive, stays unchanged but a big benefit it offers is the guaranteed timely Android updates the user will receive. The only downside is a rather mediocre 8MP camera. The prices of Samsung Galaxy Note II and BlackBerry Z10 have come down after their successors, Samsung Galaxy Note 3 and BlackBerry Z30 respectively, were launched. The Galaxy Note II is down to Rs 30,999 from Rs 39,900, while the Z10 price has fallen to Rs 29,990 from Rs 43,490.